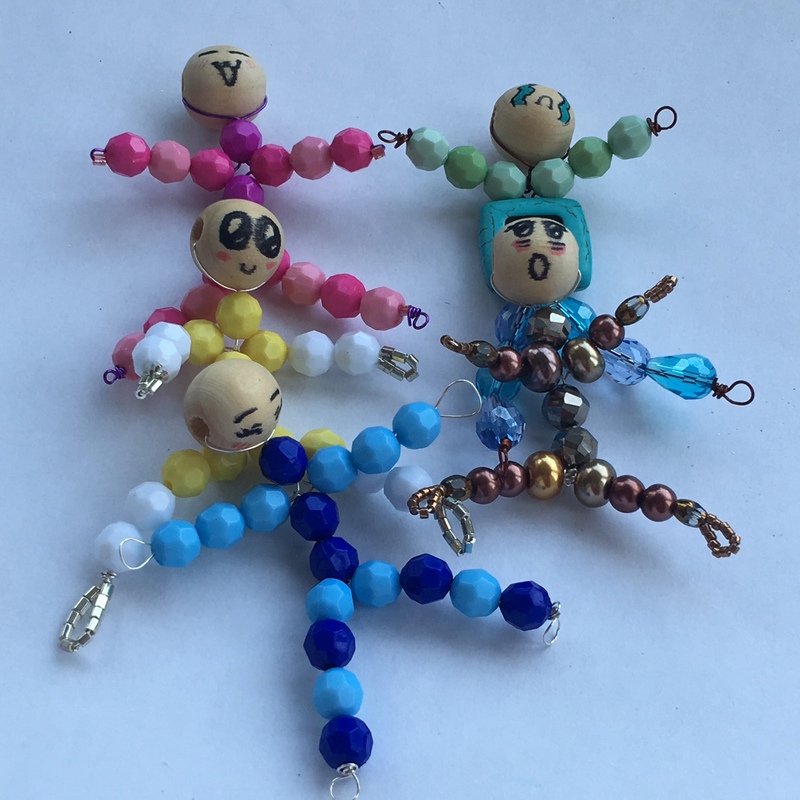 At the beginning of the Fall 2017 school year, I was thrilled to do an activity that I had been dying to do: Bead Dolls. I had been seeing them a lot over the summer. A fun DIY to do as well as a great gift when done. As always, I did my research first to get a sense of how to make them and found a couple tutorials online. They used twine/thread/yarn to thread the beads and I liked how they used different types of beads: wooden, plastic, glass etc. 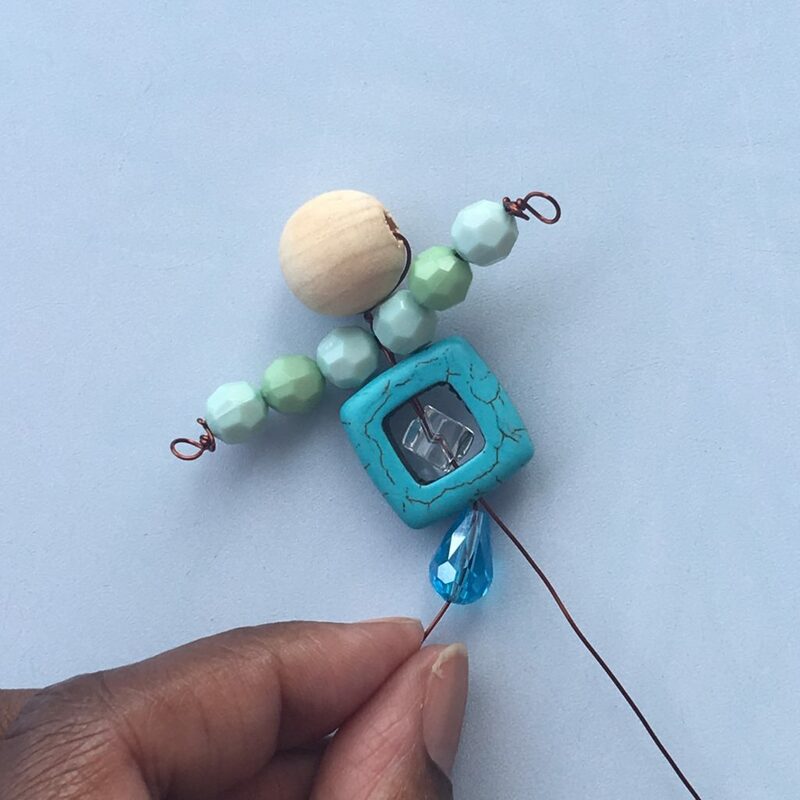 When I attempted to make my own bead doll, I realized that trying to thread some of the beads with yarn was challenging depending on the size of the bead hole. It was challenging for me and knew that it would be challenging for our students. So I had to find an easier solution. 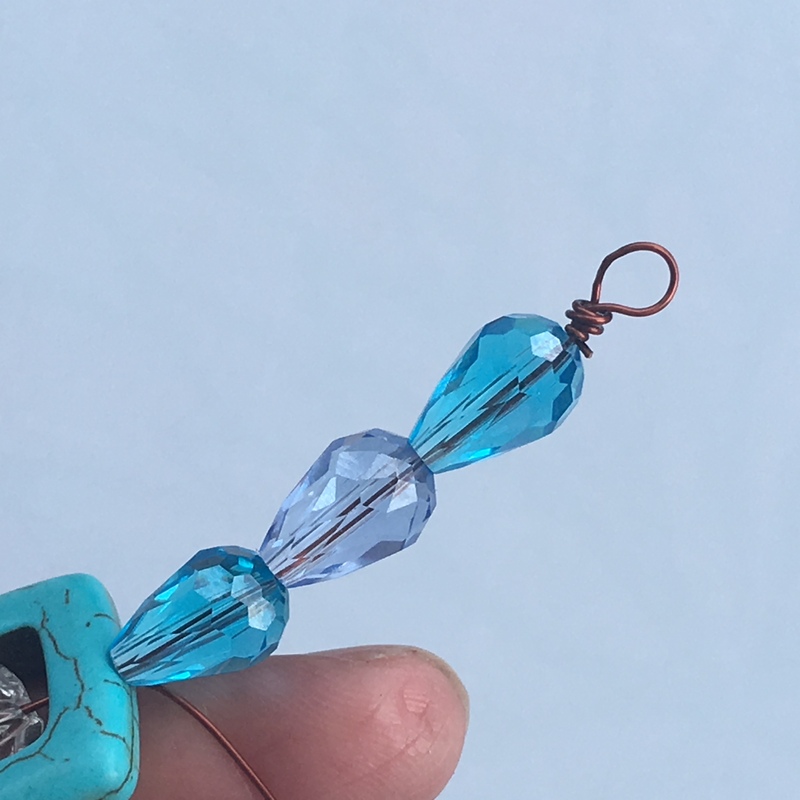 So looking through my large selection of supplies, I realized I could use 22 or 24 guage jewelry wire. Threading using wire would be easier for our students to do. 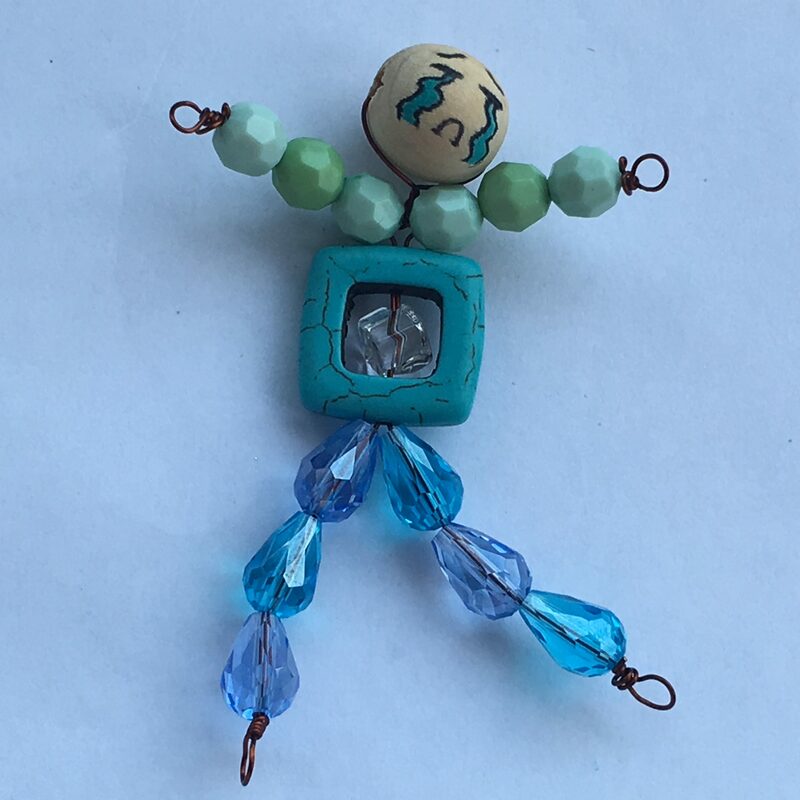 And I also realized that using wire would allow our students to put their bead dolls in different poses as needed whereas yarn does not allow for that. 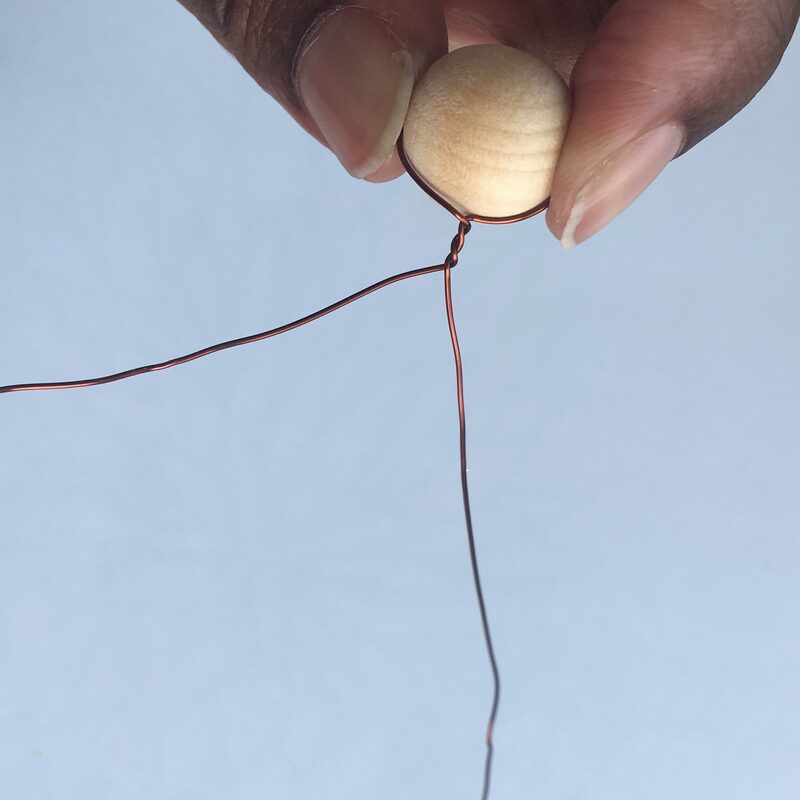 Put the wire through the wood bead and line up the ends. 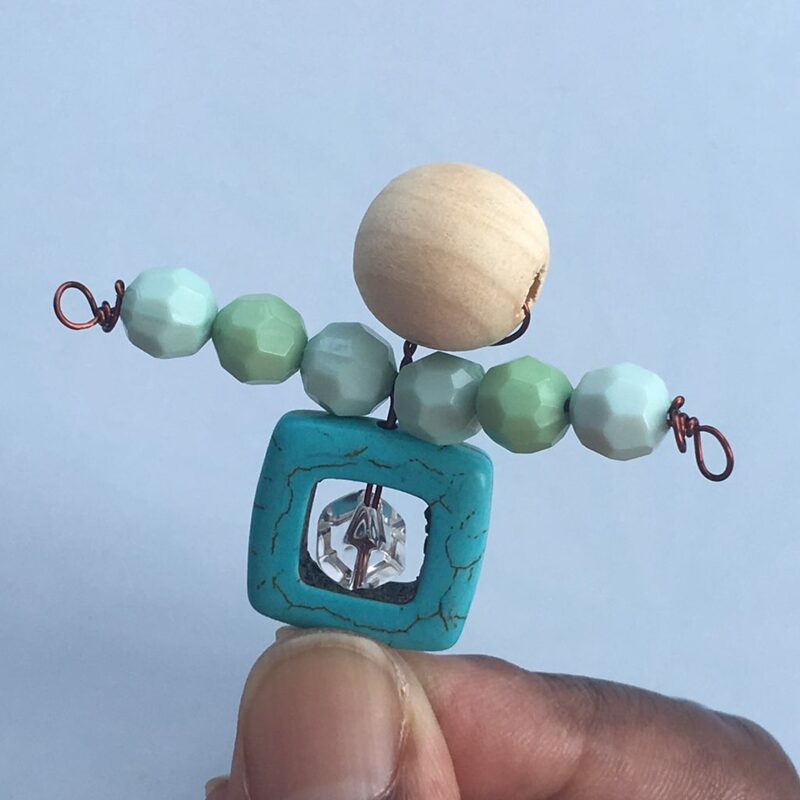 Holding both sides of the wire close to the wood bead. twist three times. This creates the neck. Separate the wire so that they are going in opposing directions. 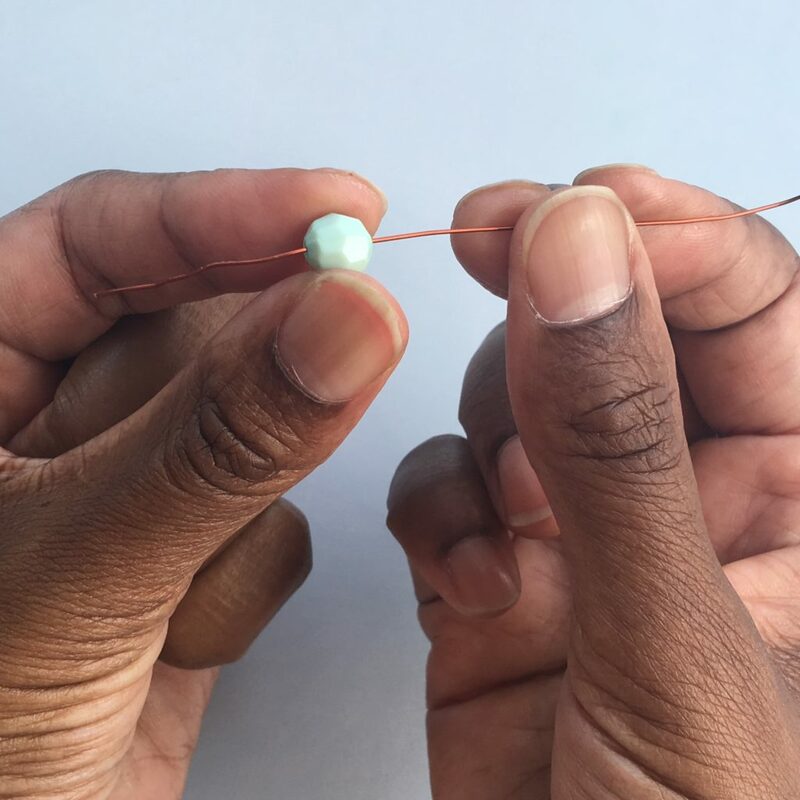 On one side, thread three round beads. 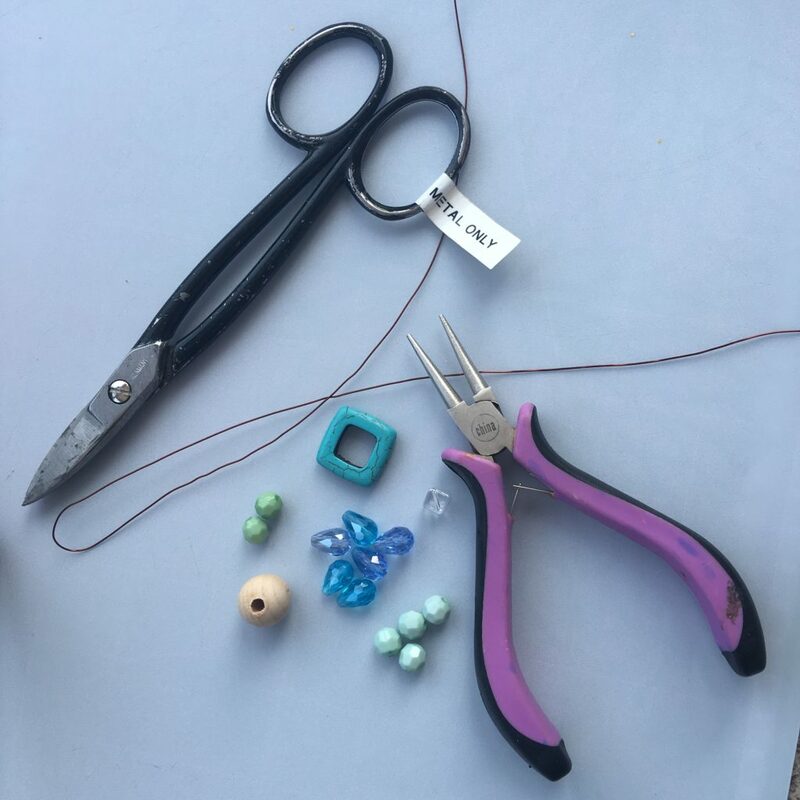 Using the round nose pliers, create a loop by wrapping the wire around itself and then putting the end back through the 3 beads coming out by the neck. Pull tightly. Repeat on the other side. 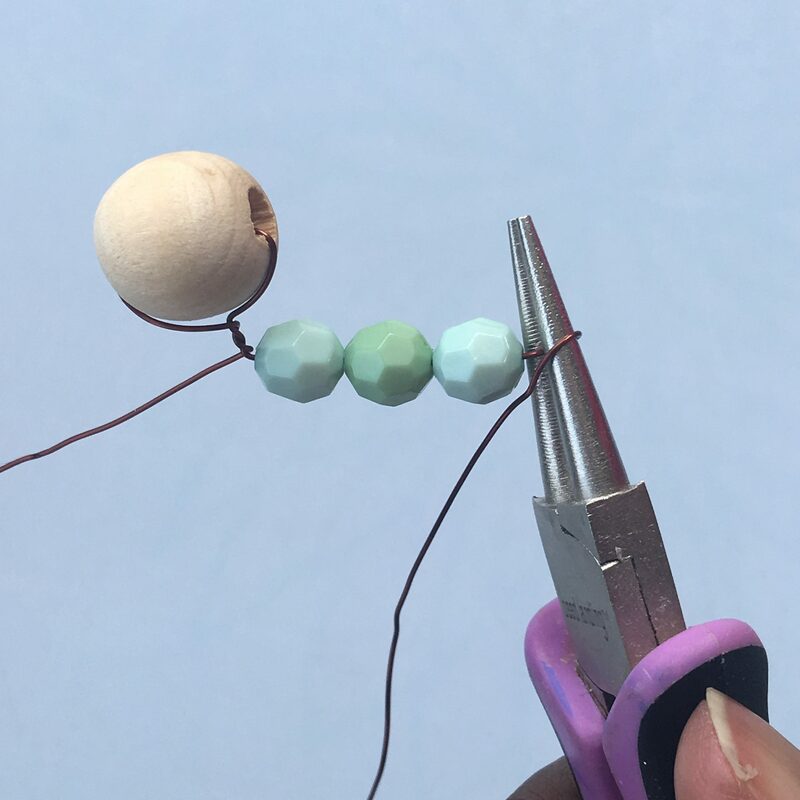 Make one twist in the middle once both wires are re-threaded through the beads. 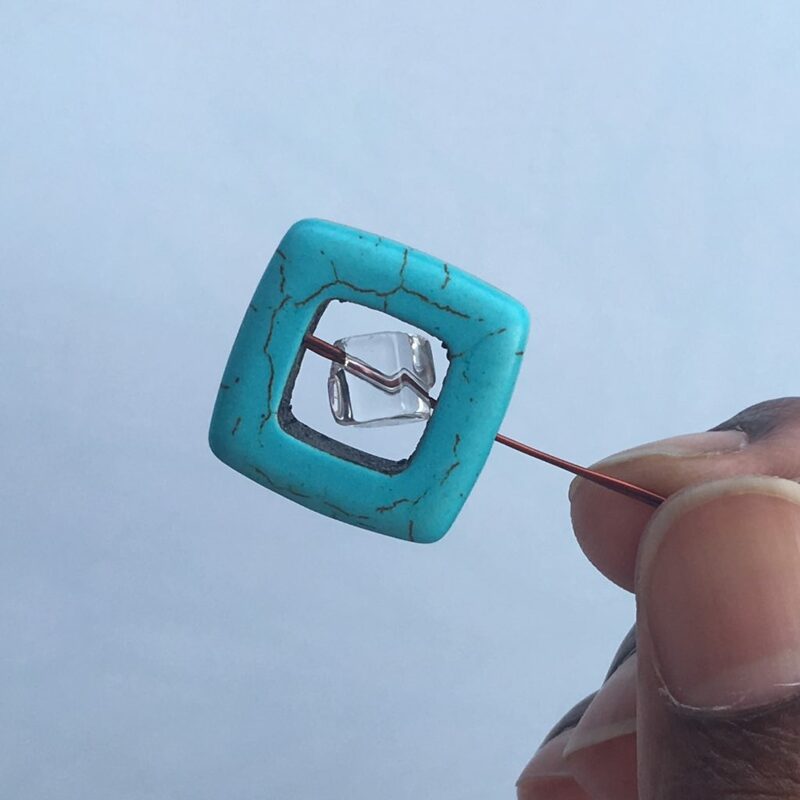 I found it easier to thread one wire at a time through the turquoise square and cube bead. Once one wire went through, I repeated on the other one. Check out the torso. Be sure to pull it tight but not too tightly. You want to be able to pose the doll in different poses. If its too tight, you won’t be able to do that. 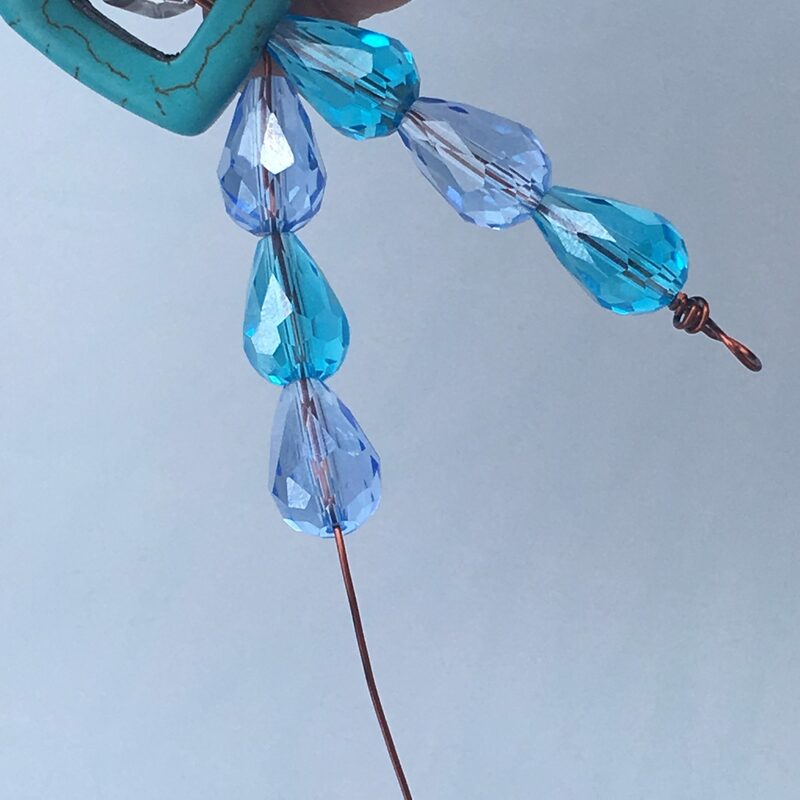 Next separate the the wires and bead the tear drop beads to create the legs. Finish by creating a loop and cutting any excess wire. So many beads! So many options. Experiment. 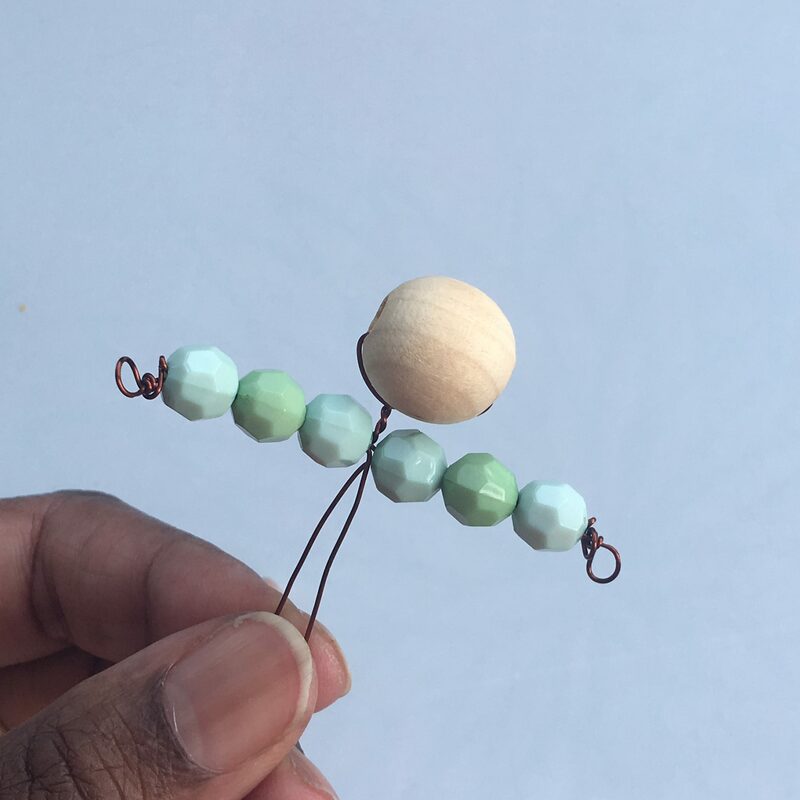 Use different beads. Design different faces! Have fun with it.